RHB Sound Dezign in Pennsylvania's Bucks County is home to Bob and Gary Backert. 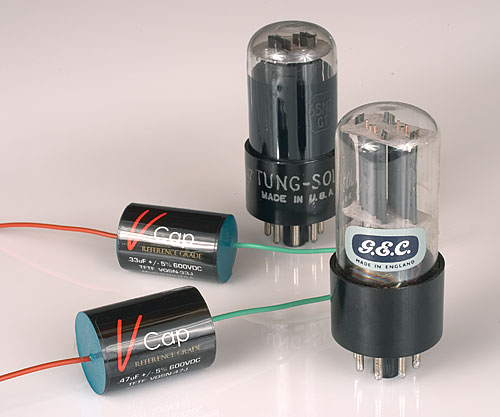 Here preamps and amps especially of the tubed variety have been modified for decades. With Backert Labs the father 'n' son team now put their combined experience of design and assembly into their very own preamps starting with the Rhythm 1.1. Because Bob considers electrolytic capacitors bad for sound never mind unreliable and toxic once in a landfill, his patented GreenForce™ supply reduces capacitance to ~0.5% of conventional equivalents. "A popular audiophile preamp in our lab runs with GreenForce on just 0.2µF where the stock power supply used 40µF. By needing so little capacitance, our GreenForce supply can operate with film capacitors such as polypropylene or even the most expensive exotic types. GreenForce neither requires large-value electrolytic capacitors nor 'bypass' caps because its film capacitors are already of very high quality." Such a drastic reduction of capacitance whilst improving capacitor quality promises a considerably faster very linear power supply. 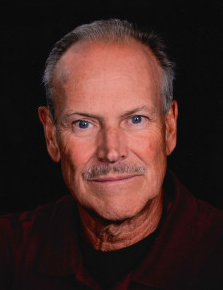 In fact Bob claims that unlike conventional supplies which passively bleed out their reserves on demand, his actively 'forces' its stored energies into the power delivery on a constant basis to give superior current linearity and better dynamics. GreenForce is available for OEM by the way and has been part of RHB's modifications since it became available. Then there's Bob's high-resolution fully discrete regulator created with over 25 parts. It runs on 1.100066uF of capacitance (a mix of AudioCap PPT Theta polypropylene film & foil and Wima). This value he believes to be another world's first. The underlying theme is clear. Reduce capacitive circuit needs to the absolute minimum; increase quality of the remaining capacitor parts to the max. But that's not the only difference for the Rhythm 1.1. It also constantly monitors and corrects tube bias which Bob says has never before been done for a pre rather than power amp. This ensures correct voltage and current in the circuit regardless of tube age, allowable tube type or music signal conditions. To illustrate, he replaced a pair of Chinese 12AU7 with JJ equivalents in a typical preamp which doesn't adjust its bias. "The voltage went from 130 to 111. That's more than enough to affect the sound quality." Whilst his phase-inverting constant-current linestage employs no local or global feedback, it does incorporate something called active output correction. This "negates the harmful effects of interconnect inductance and capacitance and stabilizes the output in light of any variations in your power amp’s impedance." In practice it tracks the musical signal's constantly changing demands and their 'tugging and pulling' on tube bias to correct for it in real time*. Though this explanation is a bit vague to protect IP, it perhaps suggests some type of servo circuit? "We are well aware of the drawbacks of servo circuits—i.e. use of ICs, negative feedback, sonic impairments such as dynamic compression—and for that reason didn't use one. The details of this execution remain proprietary information." For PrimaLuna, ex Goldmund engineer Marcel Croese designed what sounds like a similar constantly tracking active bias, albeit for power amps and integrateds. Ditto for Thorens' contract engineer Frank Blöhbaum who licensed a special self-corrective bias circuit to T.A.C. which again is for high-level machines. For its power supply the Rhythm 1.1 gets the best V-Cap Polytetrafluorethylene film foil parts (that's PTFE for short or Teflon as the most well-known variant trademarked by DuPont). There are no aluminium electrolytics to give "serious clarity and none of the congestion, bass bloat, damped-down sound or compression effects that lead to warmth but reduced dynamic accuracy." The 1.1 gets polypropylene film caps in all positions that handle music signal and Tantalum caps for the filament/heater supply. Its volume and balance controls are TKD issue. The power toroid is Avel-Lindberg's. I/o sockets are Vampire RCA. Output impedance is <500Ω. Its two 12AU7 triodes are accessible with the push of a finger flipping open a hatch without a screw driver. For mono lovers there's a mono switch. Besides the twinned variable RCA outputs there's also a fixed out to accommodate a headphone amp or similar. For inputs the 1.1 accommodates five single-ended sources. There's a mute switch and remote control covers the essential volume up/down. As to what might be next for the company, "we expect that our next models will be (1) a balanced version of the Rhythm 1.1 and (2) a more affordable preamplifier not necessarily in that order." From the above the informed reader will already have concluded that unlike the majority of tube preamp makers who consider tone of the utmost importance, Bob Backert views rhythm and timing—what the Brits call PRaT—even more so. Speed, attack, dynamics or perhaps transient/dynamic fidelity as a combo term are the applicable qualities the clearly named Rhythm 1.1 pursues. After all, whenever we talk basics relative to any topic, we invoke 101. Here it's about rhythm 101. When the firm's "reformed corporate attorney and piano/drum band player for 35 years" Andy Tebbe contacted us with a press release and review inquiry, it didn't take long to say 'yes'. Timing indeed is a very essential quality. Any good hifi must possess it even if it doesn't get the airplay that frequency response or SN/R do. Those can be conveniently illustrated with graphs. With time-domain performance that gets far more difficult. The 1.1 genesis recalls Dan Wright of ModWright. He too began as modifier who later launched his own gear. Unlike certain modders who merely throw costly parts at given circuits, Dan devised his own. So did Bob Backert. That began well before launching Backert Labs. The Rhythm 1.1 thus benefits from tried 'n' proven techniques and lessons learnt over 30 years of repairing competing electronics. This saw which parts failed and what common design decisions led to sound that could be significantly improved. (Conrad Johnson is one of RHB Sound Dezign's favourite tube preamp brands to modify. It all starts with very good design and intelligent spacious internal layout which accommodates their changes. Here's a list of owner feedback to specific model mods.) Finally the Rhythm 1.1 is your all-American boy by being designed and hand-crafted entirely in the colonies. And it's proof of concept too for the designer's patented GreenForce power supply. Here it reminds me of Trafomatic Audio's Sasa Cokic who originally entered the hifi business to demonstrate the quality of his audio transformers in a circuit he controlled front to back. 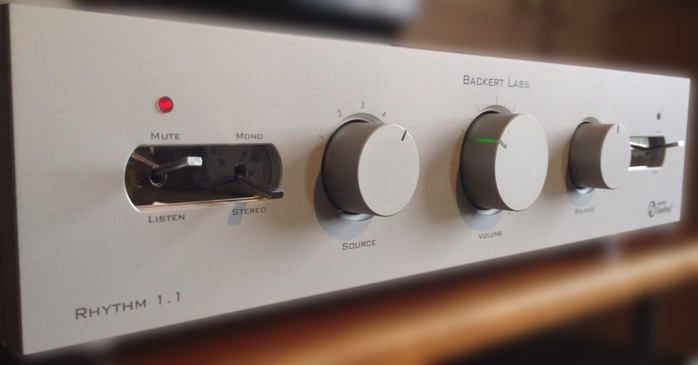 Whilst Backert isn't married to tubes—he's modified plenty of transistor amps from Carver and Krell to McCormack and Threshold—he does feel that for a preamp they give him the very best performance. In this context the astute reader notes that the Rhythm 1.1 does not go after a valve rectifier or thermionic regulators. It's about best tool for the job, not one size fits all. Which begs the question. How does the Rhythm 1.1 measure up on hard performance specs at a time when many DACs offer 120dB or better signal-to-noise ratios whilst wide-bandwidth transistor gear from Goldmund, Norma and Spectral extends into the MHz range? A current high-performance preamp regardless of chosen gain devices is expected to offer low noise, high bandwidth and low output impedance.